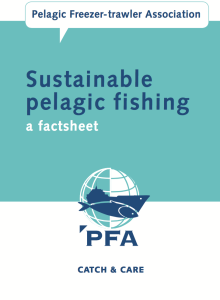 As a member of the PFA (Pelagic Freezer-trawler Association) we would like to draw your attention to the new factsheet of the PFA. Together with the other PFA members we provide over 5.5 million fish meals per day to Africa. Click on the symbol below for further information.